Oh why hello there, Kotaku. You've survived Hump Day I see. That wasn't supposed to happen... we don't have a contingency plan for this. No one was supposed to survive hump day. 5 roles for overweight Val Kilmer - I do think he's great, husky or no. 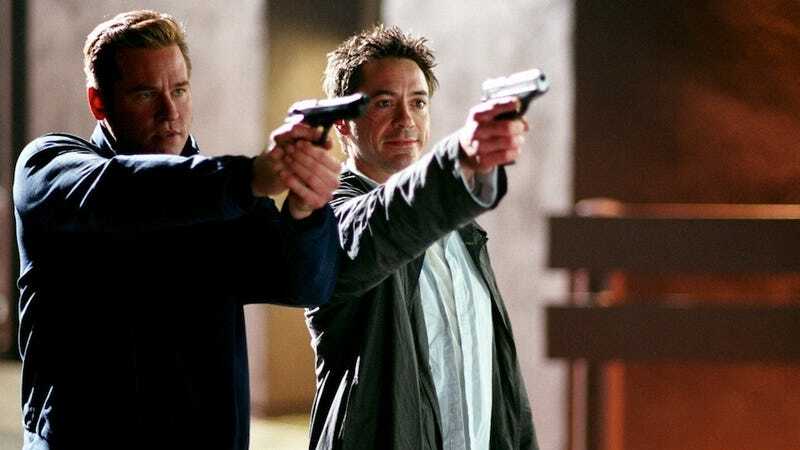 Have you seen Kiss Kiss Bang Bang? Noel Murray says we should stop using the phrase "White people problems" - This is a really good piece and I agree with it. Oh, boy. David Simon is blogging - I'm gonna be reading this. Lindy West writes an excellent dating manifesto - "Look to your left. Look to your right. Regular people in the house!" Ha. The Scale of the Universe - This? Is freaking amazing. A Chronicle tribute to Lloyd LaCuesta - If you live in the SF Bay Area, you have doubtless seen this dude on TV. My sister and I have a whole narrative we've invented for his life, but the real story is so, so much better. And that's that. Cheers, see you tomorrow.